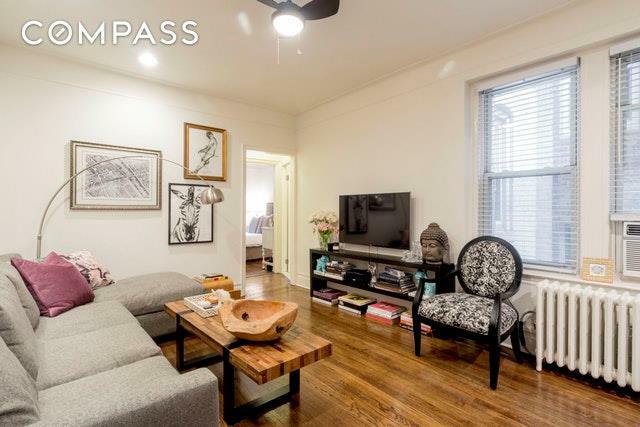 Renovated One Bedroom in Flexible Co-op!Move right in to this renovated pre-war true one bedroom home located on a prime Midtown East block. 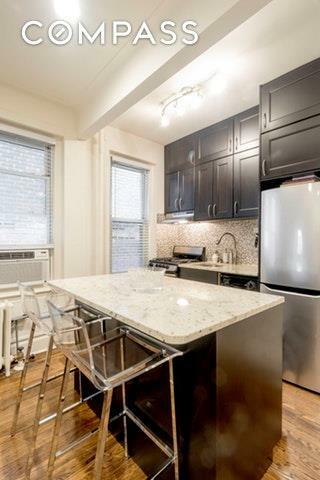 Enjoy low maintenance charges in this friendly boutique co-op building that offers an elevator and common laundry. This welcoming apartment has been renovated throughout. The modern open kitchen sets the tone for this well-thought out home. Enjoy ample kitchen storage, and an inviting feel between the kitchen and living space, ideal for entertaining. The kitchen island doubles as a dining space, with room for several stools. The comfortable living space can fit a large sectional, end tables, and more. With high ceilings, pre-war detailing, recessed lighting, and recently refinished, dark hardwood flooring throughout, this home offers a mix of style and comfort. 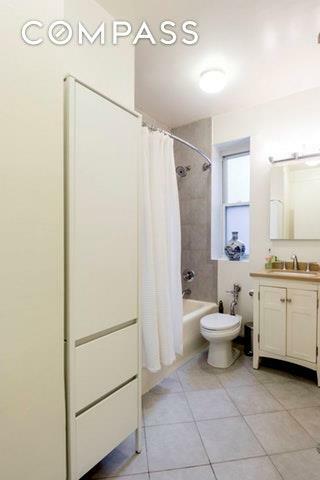 The renovated windowed bathroom rounds out this move-in ready apartment. 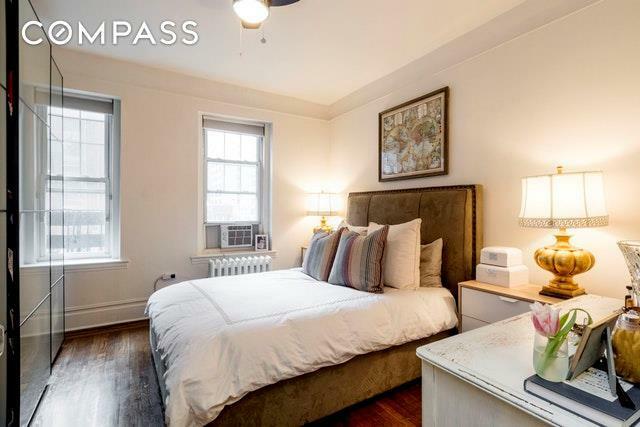 In addition to the original closets, the seller is willing to leave the large wardrobe piece currently in the bedroom, offering tons of extra storage. 223 East 50th Street is an intimate elevator co-op featuring an extraordinarily convenient location offering all the conveniences of Midtown Manhattan including excellent transportation options (3 min walk to 6, E & M trains), restaurants, bars, and shopping, but on a grounded tree-lined residential block. There is a central laundry room for the residents to use, as well as a convenient key fob entry intercom system with video accessible from your smart phone.This co-op has a uniquely friendly purchasing policy on a range of scenarios such as co-purchasing, parents buying for children, and pied-a-terres. Shareholders can rent unlimitedly with board approval, after just two years of ownership. The co-op is impeccably run and has excellent financials. This is a unique opportunity to get the affordability of a co-op, but with flexible policies. You can own for the price of renting! Sorry, no pets.